Grenada is known as the Isle of Spice for good reason. At La Belle Creole Restaurant & Bar and the Aqua Pool Bar, we've kept with decades of family culinary tradition using 100% Grenadian ingredients to offer our guests a rich and bold taste of our beautiful island. Savor a menu of signature dishes influenced by Audrey Hopkin, our owner's mother, who was a pioneer of Caribbean cuisine in the 60's. 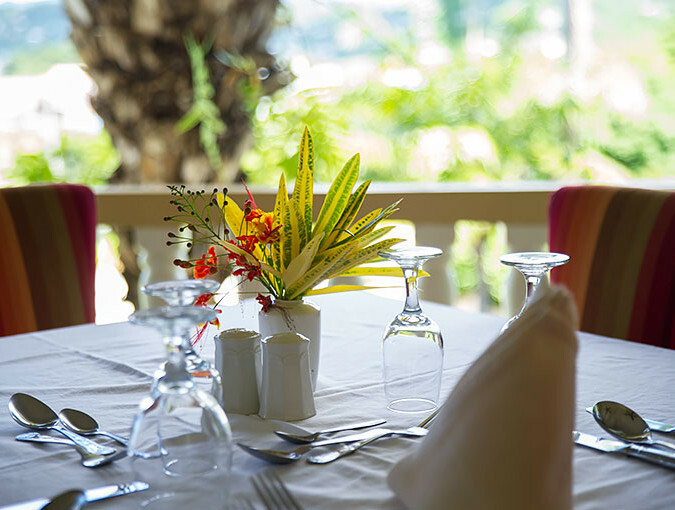 Dining is an experience at La Belle Creole Restaurant & Bar where we boast a brand of Continental West Indian cuisine. Dine in a setting perched on a hillside overlooking the garden with city views and Grand Anse bay. Serving breakfast and dinner daily, we also welcome outside patrons to our creative dishes. Reservations are required for dinner and for large parties of more than 4 people. Our day dress code is casual with cover-ups over swimwear and footwear required in dining and public spaces. In the evenings for dinner, the dress code is elegantly casual (No shorts, t-shirts, sleeveless shirts, sneakers, flip flops or slippers, hats or caps). 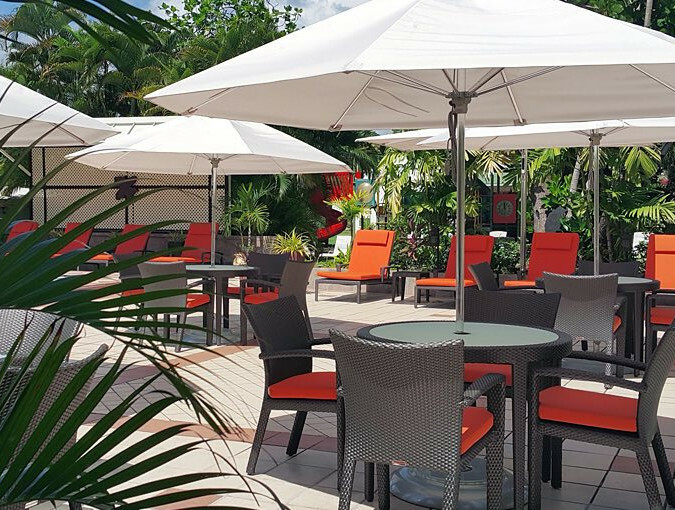 Soak up the warm Grenada sun with a poolside signature cocktail and savour fresh ingredients in an al fresco atmosphere at Aqua Pool Bar & Grill. Select from a menu of soups, sandwiches, salads, grilled selections and desserts. Join us daily for Social Hour at 5:30 pm - 6:30 pm and enjoy beverage specials. Our day dress code is casual with cover-ups over swimwear and footwear required in dining and public areas. In the evenings for dinner, the dress code is resort casual.